Sometimes I like to mix it up, without having to work or think too hard. Quick and easy, same steps, sweet not savory. 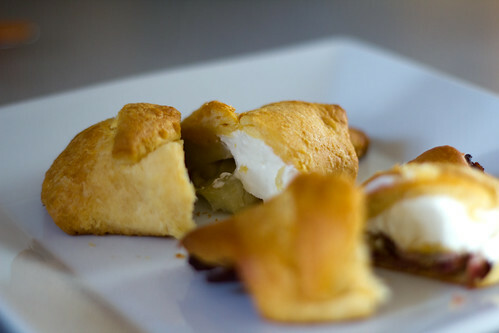 Should I be calling these apple turnovers? That just doesn’t seem like something I’d do. Call something by its proper name? Not me! 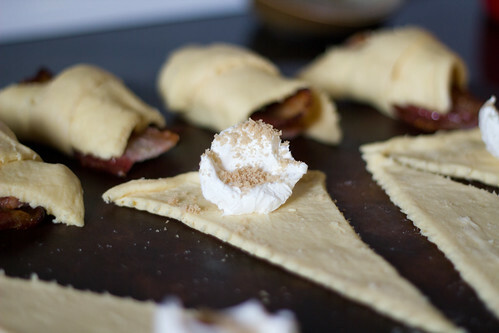 I made bacon things and apple things, which is why there’s bacon in the photos. I briefly considered combining everything into bacon/apple things, but I was lazy. It will happen soon, don’t you worry! I’ve made these with baked apples and raw apples. Honestly, there isn’t much of a difference, so if you’re pressed for time, just slice the apples and go. 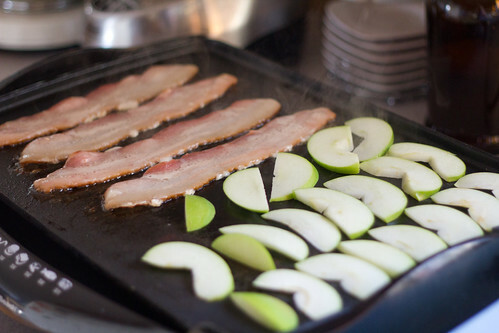 “Bake” the sliced apples by gently heating them in a skillet or griddle over medium heat. You may want to use a little cooking spray to keep them from sticking. In the meantime, spread out the crescent rolls. 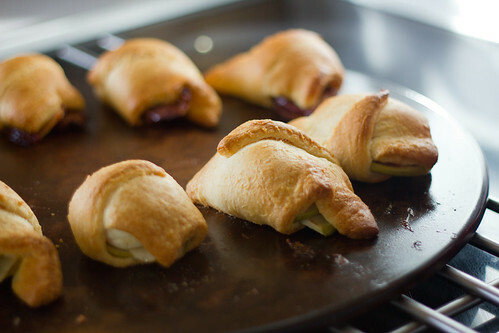 Drop a teaspoon to teaspoon and a half of cream cheese on each. Sprinkle the cream cheese with brown sugar and cinnamon. 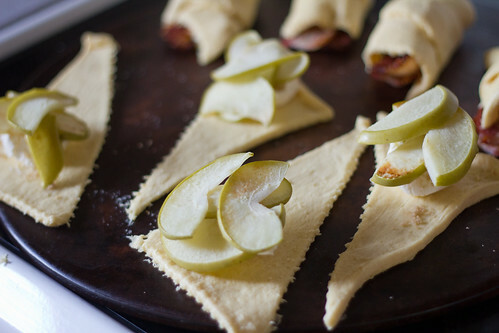 Top with several slices of apples, and roll up the crescents. Bake for 16 minutes or until golden brown. Cool for several minutes before serving.